According to Value Penguin, the average American household had $5,700 in credit card debt as of November 2018. The median (or midpoint) debt was $2,300. However, these numbers also include the households that carried no debt. By narrowing the analysis to households with debt, the numbers were much scarier: an average debt of $9,333. A closer look at the numbers reveals some interesting facts. Interestingly, credit card debt increases with net worth, except for those at the lowest end of the net worth spectrum, who by far carry the most credit card debt. Undoubtedly, the poorest households need to use debt to help pay for necessities, like food, shelter, and medical care. This creates a vicious cycle where poorer households become more indebted, often leading to default. What these numbers show is that those households have made good headway in just the last couple years whittling down their liabilities. In fact, the amount of debt has fallen by almost 20% over the past 2-year period. Average debt has fallen to a level lower than even 2013. With the economy continuing to hum, hopefully these households can continue to pay off their debts. By contrast, cities in the Midwest had lower average debt loads. For example, Grand Rapids had an average debt load of $4,594. Green Bay carried an average debt load of only $4,363. Overall, Florida had the 12th worst debt load of all 50 states. 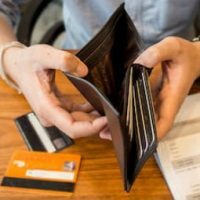 If you are struggling to pay debts, then you should consider all your options, including whether you can wipe out your debts with a bankruptcy. Most consumers choose either a Chapter 7 or a Chapter 13, and an experienced lawyer can discuss these options with you. At Nowack & Olson in Plantation, we have helped countless debtors just like you—people overwhelmed with bills because of job loss, medical crisis, or simple financial mismanagement. Reach out to us today. We offer a free, non-judgmental initial consultation, where we can discuss the pros and cons of managing your current debt load. Call 888-813-4737.